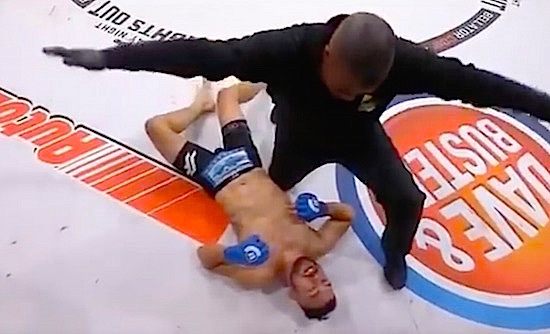 Get Em High » MMA FIGHTER ARGUES WITH REF TO END FIGHT! MMA FIGHTER ARGUES WITH REF TO END FIGHT! MMA fighter Chad George needs to win some sort of sportsmanship award. When he choked out his opponent Mark Vorgeas, even though the ref telling him the fight was not over, him argued back and saved a some unneeded blows!